I don’t know about you, but for me, I start to think about home improvements at this time of the year. The summer holidays are nearing an end, the kids are heading back to school shortly and we are starting to think about spending more time indoors again and how we can improve on what we have. So over the next few weeks, I am going to walk you through your homes and give you inspiration, tips and tricks for each space. 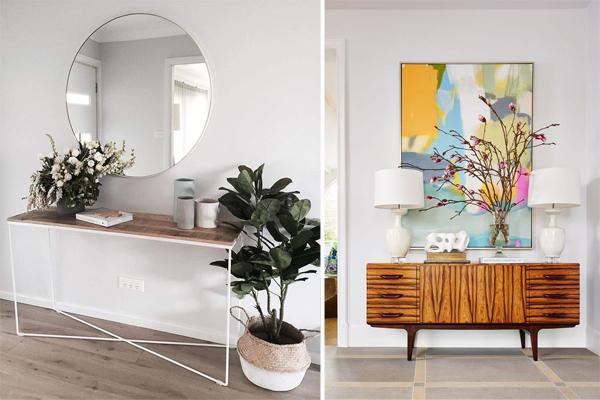 The first thing to remember, is that your hall is the first thing that people see and sets the tone for the rest of your house, so its important not to underestimate this space. I always encourage my clients to bring their personality into their homes and this should start at your front door, so don’t shy away from creating a statement in your hall. 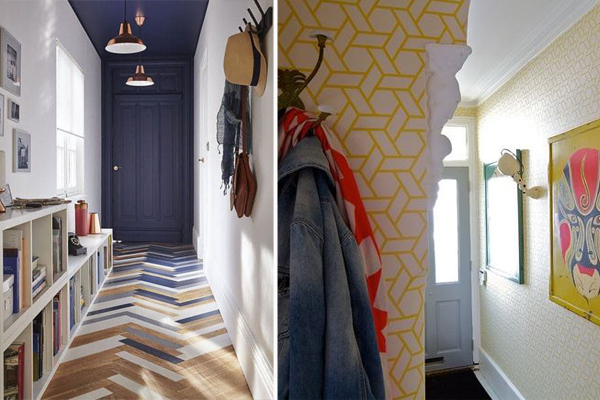 Even though your hallway is a means to getting to the other rooms, it serves a very functional purpose and it is important to get these elements right. Try to keep your hall as clutter free as possible and introduce clever storage to hide away all the coats, shoes, etc. 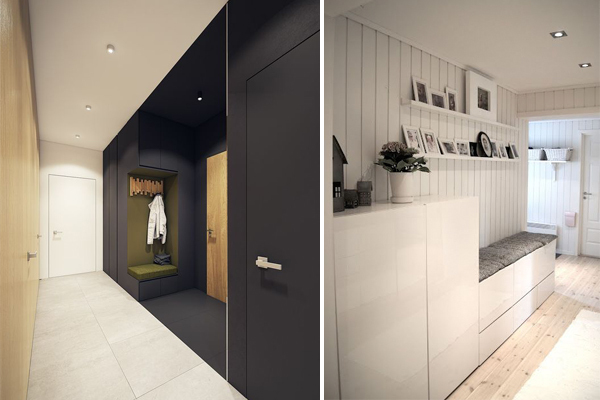 Storage can be incorporate very cleverly into the space, and it can become a feature in itself. The majority of Irish homes have narrow and dark entrance halls, so I would always recommend to try and get as much light in as possible. Mirrors are a good way of doing this and they kill a few birds with one stone. We are loving circular mirrors at the moment, as they break up the angles in a room and bring a softer shape to the space. Artwork is also a really important element, that many people over look. Artwork not only brings colour and personality to a room, but it can make for a really great focal point. Think big and bold to get the most out of your artwork. 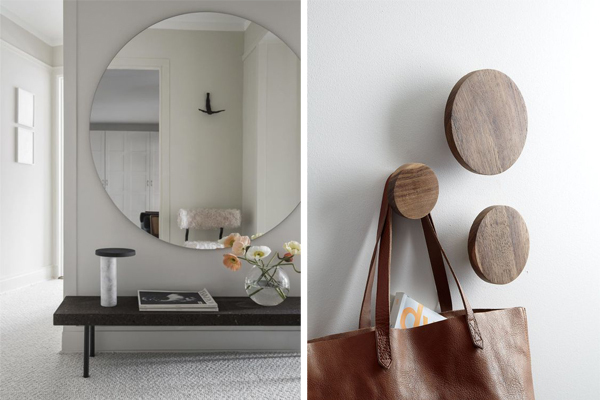 The functional elements in your hall can also be a statement, so when you are selecting the smaller items, such as coat hooks, don’t just go for the standard option, consider going for something with a bit more design flair, as the smallest items can sometimes make the biggest impact. 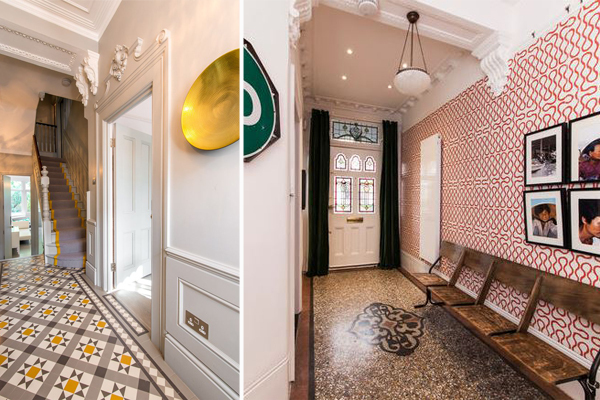 So if your entrance hall is making the cut for a renovation this year, make sure to get as much impact and personality in their.